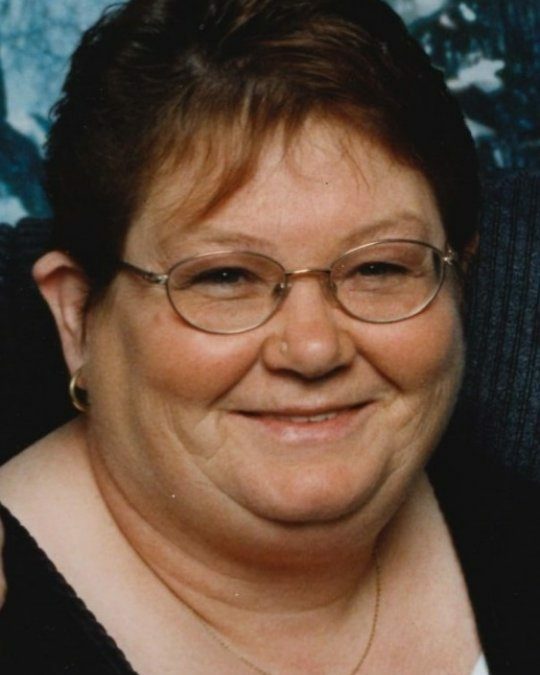 Judy Pitman Tucker, age 64, of Nancy, Kentucky passed from this life on Thursday, March 15, 2018 at the Lake Cumberland Regional Hospital. She was born on May 13, 1953 in Faubush, Kentucky, daughter of the late Denton and Grace LaFevre Pitman. After 23 years of dedicated service she retired from the Nancy Elementary School System, where she loved cooking for all the kids. She was a member of the Mt. Pisgah Baptist Church in Faubush. Judy was a member of the 1971 graduating class of Nancy High School. On March 24, 1973 she was married to Richard Tucker in Ferguson, Kentucky. Judy was a loving and kind-hearted person and enjoyed spending time with her family and friends. She will be sadly missed by those who knew and loved her. In addition to her parents, Judy was preceded in death by her brother Willard Eugene Pitman. She leaves behind to cherish her memory her husband Richard Wayne Tucker, One Son; Chris (Ann) Tucker of Russell Springs, One Daughter; Jessica ( Jeremy) Lukat of Shepherdsville, Kentucky, Three Grandchildren; Hannah Tucker, Taylor Lukat and Joshua Tucker, Two Sisters; Arta Marie Meece of Russell Springs and Anna Lee Compton of Somerset, Two Brothers; William Edward “Bill” (Sheila) Pitman of Norwood, Ohio and James Donald Pitman of Somerset, along with a host of Nieces, Nephews and Great Nieces, and Nephews and extended family that she loved dearly. Visitation will be after 5:00 p.m on Sunday, March 18, 2018 in the Chapel of Southern Oaks Funeral Home. The Funeral Services will be at 3:00 p.m. on Monday, March 19, 2018 in the Funeral Home Chapel with Bro. Jimmy Thompson officiating. Interment will be in the Lakeside Memorial Gardens. The Active Pallbearers will be Joshua Tucker, Cody Ryan, John Pottin, Roy Lee Pitman, Tony Pitman, Gunner Pitman, Ronnie Lawter and Ronnie Lawter, Jr., Honorary Pallbearers will be Josh Stringer and Darrell Wayne Baker. Southern Oaks Funeral Home is entrusted with the arrangements for Mrs. Judy Pitman Tucker.